For those Cats out there looking for a good book to read over the long weekend, here are 2 options. They are both “interesting” but would likely be even more interesting if read while highly intoxicated. And both are available from Amazon in paperback and Kindle editions. Sadly, GST is now included in the price. 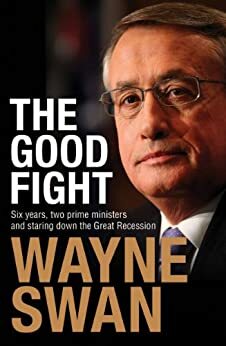 The Good Fight: Six years, two prime ministers and staring down the Great Recession. What Happened by Hillary Clinton comes in a close third behind those two. Not sure of the price. How much will I be paid to read either or both of these? I mean, to read Swan’s diatribe will need payment or recompense of some kind, surely! I’ve still got a few of Saddam’s legendary Barbara Carthorse style potboilers to wade through. Alas, they are likely to remain unread. That paint isn’t going to watch itself dry. 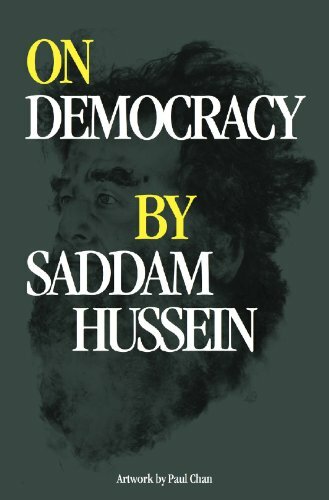 Saddam democracies it that the National Gangrene Laboral Pardees handbook ? With a preface by Noam Chomsky. Do I get a free bottle (large) of scotch ( or any drinkable alcohol) to compensate me for the pain and suffering? I am guessing Swannee’s book is one of the colour-in kind. Better not have join-the-dots. With that fucker’s gift for numbers, a picture of cottage would end up looking like the smoking ruins of a bombed city. Colours by numbers? I don’t think so, maybe little letters or shapes. ‘Family’ by Barnaby Joyce. One mans struggle to overcome frigid nights in our Nations Capital. ‘Loyalty’ by Malcolm Turnbull, Julie Bishop. Introduction by Julia Gillard. The classic story of two lost souls who overcome success to achieve mediocrity. ‘Boot Camp’ by Bill Shorten. Seldom do we stop and conduct the ‘are we Better Off Overall Test?’. No need Bill has done this for you. This self helping book will take you step by step below the minimum wage to become the abject poor he will fight for …unless he cannot find you or he forgets. I think I would go for the Saddam book. He knew more about democracy than Swanny would ever know about the economy. Swanny’s tome sound more like a farce. You forgot Bill Clinton’s new book, ‘Killary’s Server The President Is Missing’. Should compliment the cats’ favourites — J.S. Mill, Rothbard and Pinochet — nicely. These books are mere words one after another until they finish when compared to the poetic insights of Kehlog Allbran. Yes, they sure look like good kindling, to me. Pity they weren’t about in Richo’s “Offset Alpine” days, he could have made good use of them. Sorry, Spartacus. We just stocked up on toilet paper last week. we pay a billion a month in interest for your debt, dear swaaaneeeee. Same problem as with the Fauxfacts rags. Why is it that Leftards always stuff up a good bum-wipe, with newsprint? Fauxfacts markets the only lavatory papers where all the crap comes pre-loaded! I would prefer to go sky diving without a parachute.